This page is a storage place. When we sell out of a discontinued product we do not want to lose the technical information in case we find more stock and can add the product back to inventory. We do not have any of the lamps on this page. 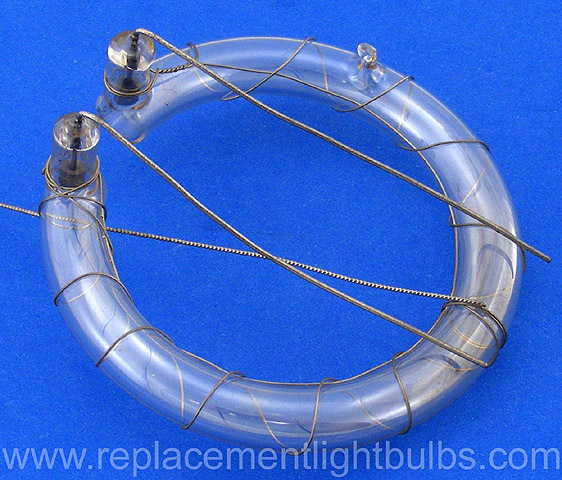 In some cases we may be able to have the lamps manufactured if you need a large quantity. If you do not know what lamp you require or for lamps not listed, email your request or call technical support at 336-882-2854. 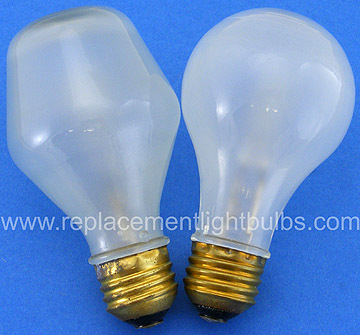 1000PS52/SBIF-120V $25.00 GE 22348, 1000/SBIF, 1000W, 120V, Silver Bowl, Inside Frost, PS52, PS-52, MOL 13", 1000 Hours, 1000SBIF, Mole Richardson 20133 Overhead Cluster Six Light 1000W, E39 Mogul Screw Brass Base, C-7A Filament, 20,400 Lumens, MOD 6.5", LCL 3.13"
1959-GE $25.00 28V, 150W, Special Tab Base, 59026, Aircraft Navigation, Filament Supported, T-4 Clear Glass, 240C, 240CP, 5.35A, CC-8, 300 Hours, LCL .75", MOL 2.25"
301-21 $40.00 PCB 301-03, REV-A, ASSY 301-21 CCI1-0, Note: These are new-old stock, never used replacement bulbs; the foam padding went bad and these had to be cleaned, X-Rite 301 Black and White Transmission Densitometer, P/N 301-21, Placement is critical to proper function but you may be able to solder in a 787 lamp to your old assembly to save money. 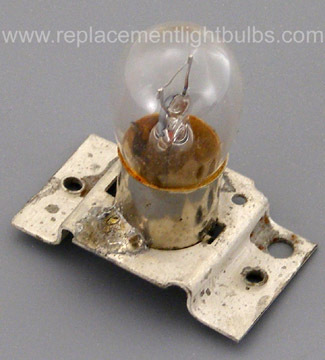 41960SP $10.00 Osram 41960-SP, 6V, 10W, AR48 48mm Diameter Reflector with Shield Over Lamp, 8° Spot Beam Spread, G4 GY4, GZ4, 2 Pin Base, 2000 Hours, 3000K, MOL 35mm, Halo Star, Halostar, Germany, AMAT, 221010019, Silber, 10AR48/6V/10/SP, We can have these custom manufactured if you need a large quantity. 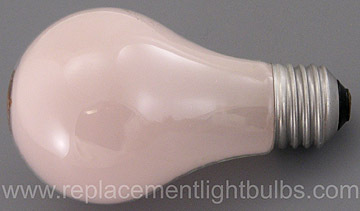 4C7-120V $1.00 GE, 4W, 120V, E12 Candelabra Screw Base, C-7 Clear Glass, GE4W91, 120V4W49, 120V4W28, We can order this lamp, we discontinued it due to lack of demand. 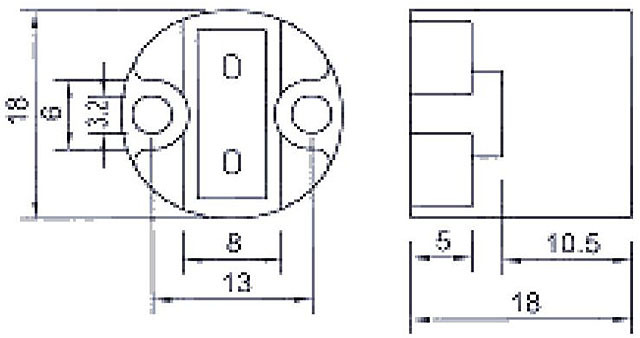 50A19/IF-12V $1.50 Halco 101160, 12V, 50W, E26 Medium Screw Base, A19 Inside Frost, Low Voltage, A19FR50/12V, FR, 1.5M, 580 Lumens, 1500 Hours, C-6 Filament, MOL 4.25"
CP24-220V $20.00 CP24, FVA, 1000W, 220V, Q1000T8/4CL-220V, 3200°K, Quartzline, Halogen, G11 Clear Glass, GX9.5 Prefocus Medium 2-Pin, C-13, 18.5x17.5 Filament, 200 Hours, 26,000 Lumens, Burn base down to horizontal, LCL 2.170"/55.1mm, CP70, FVB, CP49, BERKEY COLORTRAN 6" FRESNEL, ADB EUROPE, GAMMA, TDH, THH - ALL 1K CCT Silhouette and Starlette 1k Silhouette 90 and Turbo FURSE MPR/TH SELECON Compact 610 Compact 612, 1200W Zoomspot, Fresnel & SPC Chorus SPOTLIGHT All 1kw Models All 1.2kW Models STRAND LIGHTING Patt 743, 749, 750, 763, 764, 774, T64, T84, 814, Harmony Cantata TEATRO Tipo Tratto Tratto 2 Spazio PC/E, F/E Spazio 1.2kW LEE/LITO/LUMA/TULLA 1000W Profile Spot 6995P GE 20281 GE20281 00043168202817 043168202817 0-43168-20281-7 Q1000T8/4CL-CP24 8502173199202816 850-21731-99-20281-6, Discontinued by GE, We can have this product manufactured in a generic brand. 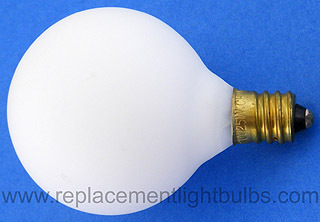 F20T12/CW $2.00 GE 10214, F20T12-CW-ECO, 20W, Cool White, T12 Glass, Medium BiPin Base, 24"
F48T12/CW/1500/O $10.00 General Electric, Outdoor, 1500, Cool White, Cold Temperature, T12 Enclosed in 1.81" Diameter Tube, R17d Recessed Double Contact, 10,000 Hours, Minimum Starting Temperature -20°F, 7000 Initial Lumens, 6075 Mean Lumens, 4100K, 110W, CRI 60, 84V, GE 34206, 46"
FML36/65 $7.95 36W FML 6500K GX10q-6 Base Fluorescent 9036BC LINEAR QUAD FML-36EX LOA GX10Q4/2G10 4100°K Qx10Q6 T-4 49317 MOL 10"/254mm 10,000 Hours 36Watt Compact Fluorescent 2600 Lumens FML-36W T201 Replaces one 150W incandescent lamp with only 36 watts of energy used and lasts as long as ten 1000 hour light bulbs. 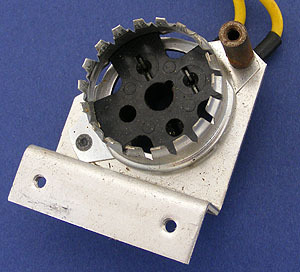 G17q $15.00 Socket for line voltage lamps with the G17q base. We have a few removed from equipment that take some engineering to install. Pictures front and back. OP2505 $58.50 Hosobuchi, G16½ P28s base 12V 150W Medical Lamp Mitutoyo Profile Projector Type PH-350 Surface and Contour Lamps for Profile Projector Mitutoyo model PH-350 201131 12V150W OIL O1L 01L 0IL 0000 12-150-63V PH350 201-131, 12 150 -60 B, 40 FC-6U, P28s/24, 2850°K, 100 Hours, G60x96mm LCL=40mm, Comparator, 201131, 201-131, We can order these but we have to order 100 and they do not often sell. $25.00 PH300 No. 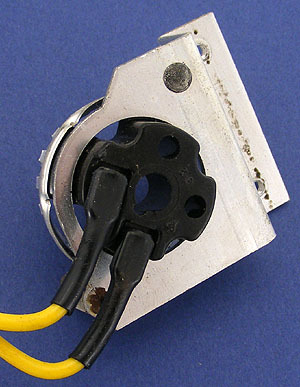 300 Photo Enlarger 150W 115-125V GE E26 Medium Screw, White Glass, You may be able to use the PH212 Lamp with the GE-6010 Adapter to replace this lamp. PH/301 $50.00 PH301 No. 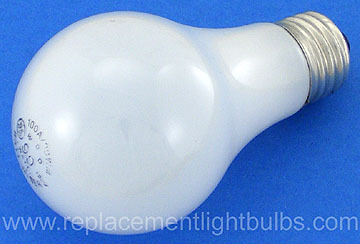 301 Super-N-Larger Lamp 300W 115-125V Sylvania E26 Medium Screw, PS30 White Glass, NO.301 U.S.A., You may be able to use the PH213 Lamp with the GE-6010 Adapter to replace this lamp. 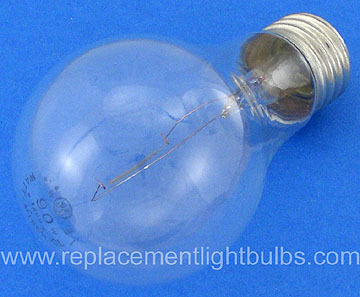 PH/302 $25.00 PH302 500W 100 Hours Super-N-Larger Lamp Type 302 PS-30 Glass, You may be able to use the PH213 Lamp with the GE-6010 Adapter to replace this lamp. Q20A/PAR56/C $50.03 GE 15482, 300W, 20A, PAR56, Teflon Coated, GX16d Mogul End Prong Base, Airport, Airfield, CC-6 Filament, Quartz-Halogen, 500 Hours, Universal Burn Position, MOD 7", MOL 5"
QH375T3/CL/7-120V $20.00 GE 21337, 375W, 120V, Quartz Heater Lamp, L-QTZ2, QH 375T3/CL/7, 115-125V, C-8 Filament, MOL 8.81", LCL 5.06", 5000 Hours, 2400K, We can order this lamp or a replacement.